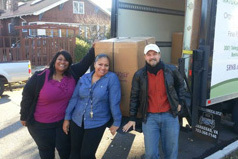 We appreciate your visit! Keep scrolling for more information about our GOTS-certified organic mattresses, or click a product category link below to dive right in! Our flagship natural mattress is customized with personalized combinations of Soft, Medium and/or Firm latex. Choose Dunlop, Talalay, or both! The Unity Pillowtop has four 3" layers: it is simply the 3-layer Serenity organic mattress with the Harmony latex topper on top for added luxury. The Tranquility is made just like the Serenity, but with two 3" layers of natural latex. It’s a good choice for toddler beds, bunk beds, or smaller adults. You want an eco-friendly mattress that won't undermine your health, and you know that most conventional mattresses contain toxic chemicals. Savvy Rest certified organic mattresses are made with natural, organic latex (natural rubber foam), certified organic wool and certified organic cotton. Our GOTS-certified organic mattresses are made with layers of Soft, Medium or Firm natural latex foam rubber, in a wide range of custom combinations. We create personalized comfort for each sleeper—and for couples, we can customize each side. 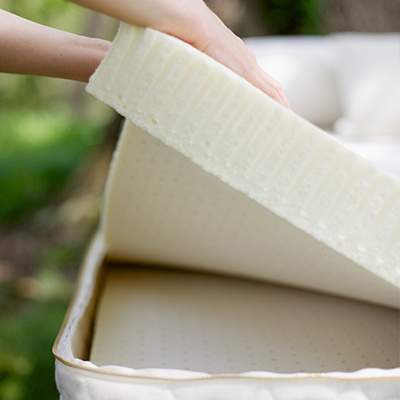 The core components are layers of natural Dunlop or Talalay latex foam. The casings are made of pure organic cotton with organic wool batting quilted inside. NO chemical flame retardants, pesticides, bleaches, dyes or other toxic finishes are used. We also manufacture a natural innerspring, an organic wool-filled mattress, organic bedding, and luxurious organic mattress toppers. Choose supportive Dunlop or cradling Talalay—in combinations of Soft, Medium, and/or Firm—to create the perfect feel for your body. Layers of natural latex are placed inside our certified organic mattress casing to create to truly customized sleep experience. Our organic mattress casing is made with certified organic cotton and wool—and NO chemical flame retardants. Need to make a change? 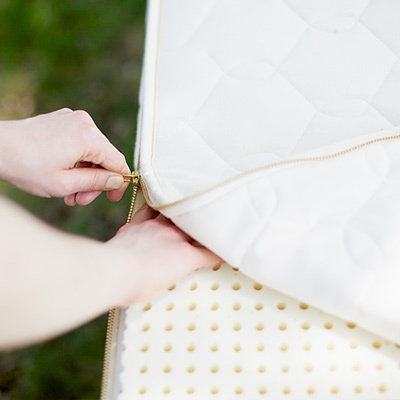 Our layered mattresses come with a 90-day free latex exchange period, and layers can be rearranged at any time. You want an organic mattress that's also comfortable and durable. Natural latex is responsive, pressure-relieving, resilient, and lasts for decades. True natural latex, without synthetic latex or fillers blended in, is simply natural foam rubber. Unlike most other foams, natural latex breathes, which discourages the buildup of moisture and heat in the mattress interior. Latex does not transfer motion the way most conventional innersprings do, so you can say "goodnight" to bouncing in your partner's wake. Most natural latex mattresses last as long as two or three traditional mattresses while keeping their shape and wonderful resilience. Order samples of our Dunlop and Talalay latex. Support an employee-owned B Corporation! We provide the best service in the industry. We ship promptly. 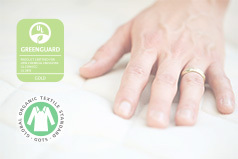 We offer clear and comprehensive information about organic mattresses to help you make a knowledgeable choice. We share certifications for all our materials. We also offer a 90-day comfort exchange, so you can alter the "feel" of your mattress. Each Savvy Rest organic mattress is made of Soft, Medium and/or Firm layers of all-natural latex, Dunlop or Talalay, custom-combined to create a personalized fit for your body. The quilted organic cotton casing contains organic wool batting, a natural flame barrier. With this wool, Savvy Rest meets federal fire regulations. Most conventional mattresses contain a variety of toxic chemicals (VOCs and chemical flame retardants) that have been linked to serious health issues, including cancer and developmental brain disorders. The best way to verify the healthfulness of a mattress is to ask about mattress materials and view a company’s third-party certifications. Mattresses must pass the flame test imposed by California Technical Bulletin 117. Conventional mattresses use toxic chemicals to pass this test. Some companies will use a natural material to hide the use of such chemicals. Savvy Rest organic mattresses use only organic wool—no toxic flame retardants. Our mattresses are made with natural latex, organic wool, and organic cotton—no toxic flame retardants. 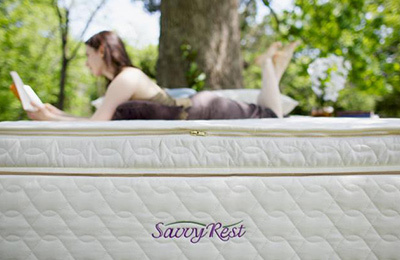 Savvy Rest mattresses feature custom-combined latex layers that are adaptable to your needs. 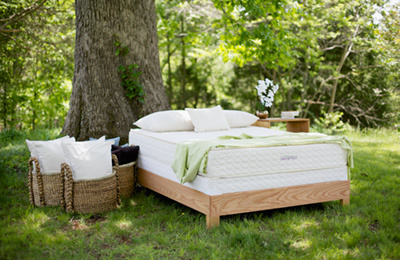 Visit a store near you and experience a Savvy Rest organic mattress for yourself. 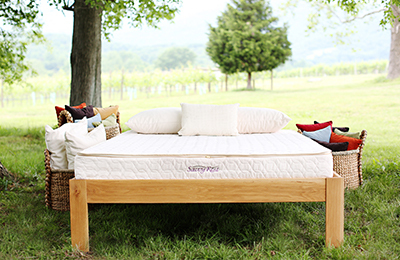 A Savvy Rest organic mattress may help you sleep more comfortably. 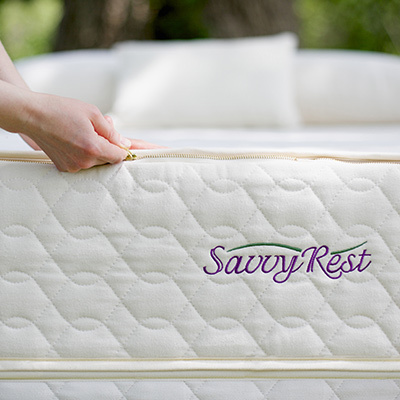 Savvy Rest products are third-party certified to ensure purity and healthfulness. We want to be more than a business—our goal is to create tangible benefits for our customers, employees, and communities.